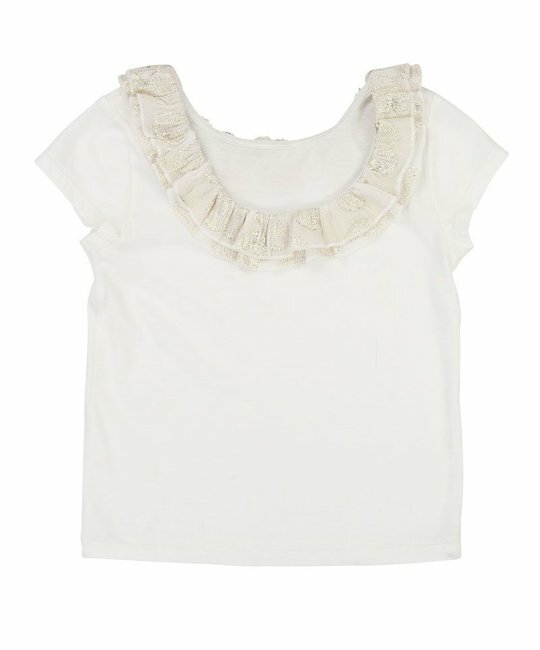 Carrement Beau soft cotton offwhite interlock tee shirt with ruffle silk patterened shell collar. 100% Cotton. Imported.